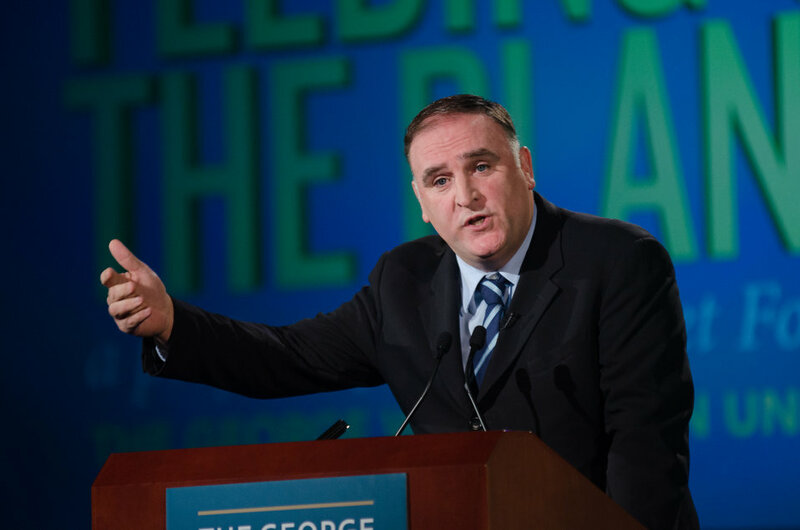 Jose Andres, Chef/Owner of ThinkFoodGroup, Founder of World Central Kitchen, and Culinary Creator and Advocate, speaking at the Feeding the Planet Summit of leaders from agriculture, business, finance, academia, Non Governmental Organization, government and media, along with a large contingent of college students to engage around promising innovations in global agriculture and food security. The Summit spotlights transformation and scalable developments in policy, practices and technologies with special attention to related issues of gender, climate change and urbanization at The George Washington University in Washington, DC, on Wednesday, Oct. 31, 2013. USDA photo by Lance Cheung.